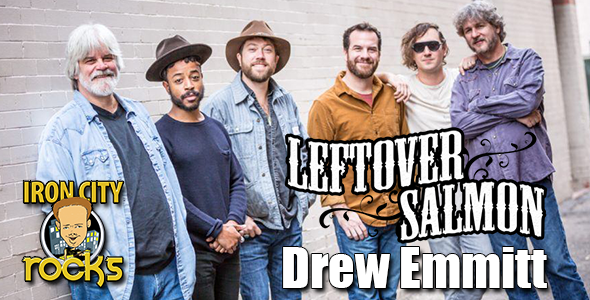 In Episode 391 of the Iron City Rocks Podcast we talk with Leftover Salmon‘s Drew Emmitt. Drew and the band have release Something Higher in 2018 and are currently on a run of dates in the U.S. Drew discusses with us how the band’s sound has evolved on the new record, how they write individually as well as collectively, how the band fits in with several genres and much, much more. We are also joined by Hawk with Owsley Stanley Foundation. The Owsley Stanley recently release a treasure recorded by the late Owsley Stanley, the Allman Brothers Band: Fillmore East February 1970. We talk about the efforts of the foundation to preserve and release some of these treasured recordings.